Each spring families, friends and anglers embark on an annual pilgrimage to the lowland lake trout opener at Central Washington’s Quincy Lakes Wildlife Area. Campers, trailers, tents, boats and bank anglers line these lakes in anticipation of catching trout. I myself have not missed an opening day since I was a young boy some 30 years ago. For my family it is more about tradition and togetherness than anything else. If we fill the cooler with a bunch of feisty 12-14 inch red meat, tasty Rainbows it’s an added bonus. Shallow in comparison to other lakes, and with weeds growing from shoreline out into the water, Burke and Quincy Lake are the most popular. They are narrow and stretch a few miles through rocks and sagebrush. Success comes to those finding an open slot in the weed growth where you can comfortably land these fish without getting them tangled in the brush. While some struggle here, having the right tackle and setup paves the way for an enjoyable day for kids and adults. Last time my family and I fished Quincy Lake we started at daylight and instantly started catching trout, finishing three hours later with 25 fat 12-14 inch rainbows. However, only one fish was landed among the 15 other anglers near us. As the stares and questions started pouring in, I decided to put on an impromptu seminar to try and teach these nice people what we were doing so much different than them. As I said before, this is a simple fishery in thought, but there are a few things that separate people from limits and just an occasional hit. Bait selection is important. I’ve found that they’re only two choices for these early season cold water trout: dough bait or eggs. In my tackle box you will find a wide assortment of Pautzke’s Fire Bait. My favorite flavors are salmon/garlic, but day-to-day sometimes the trout want different flavors and colors. You will also find Balls O Fire salmon eggs and an assortment of mini colored marshmallows. Fire Bait is what we start our day and season off with, but as these fish slow on the bite due to seeing every color and flavor dough bait in the world, I switch it up to and old school favorite, Pautzke Eggs/marshmallow combo and continue catching. For me it isn’t good enough to put a blob of Fire Bait on my hook and throw it out. This is where this simple fishery becomes technical. Keep in mind, the weeds in these lakes extend out into the water and become a bait removing annoyance. These trout have became masters of removing dough bait from a hook without a bump. This can be especially hard for young kids. With these two things in mind, I stole an idea from some of the other Pautzke pro staffer by portioning out the Fire Bait into balls larger enough to float my hook and leader. Then I wrap the bait balls in roe wrap and cinch them closed with either a rubber band or my egg loop on my hook. This method keeps the bait from falling off as easy during casting and retrieving and makes the fish have to work harder to remove it from the hook. When it comes to my Pautzke egg/marshmallow combo, I thread a colored marshmallow up the hook carefully trying not to tear it and then place 2-3 Pautzke eggs on the hook before sliding the marshmallow back down about an inch above my hook. I also add scent, namely Liquid Krill or Pautzke Nectar to my baits. Bait placement is important and is effected by the weeds. Being narrow lakes, there’s a line between casting too far and not far enough. Weed growth can be different depending on where you fish. It isn’t good enough to just throw to the middle or as far as you can. It’s important to dial in your casts so when you retrieve you don’t have a mess of weeds and grass covering your bait and leader. If you are picking up weeds, adjust your cast farther, or shorter, until you find the most open part of the lake where you are fishing. Another point to go along with this is when you find open water with less weed growth the fish are normally schooled and searching for food. Instead of the occasional bite, you are more likely to have hit after hit. Having the right tackle is important. Use a lighter action rod with a fast action tip. Oftentimes, these are soft biters. It’s nice to feel the slightest of strikes. I use a rod at least 7′ long, which allows for longer casts if needed and also a better hook sets. I use a spinning reel with light line and a small diameter. This allows me to feel strikes easier, cast farther and also wont spook the fish as easily. A basic slip rigging works best. I begin by running a 1/4 ounce slip sinker up my line followed by a small bead. The bead keeps the sinker from wearing out your knot. After applying a swivel, I like to run a three-foot leader of 4-pound monofilament to a size 4 wide gaped hook. Adjustments of leader length should also be made if the weeds call for it. The last thing I would like to touch on is enjoyment. These lakes are far from a trophy fishery. Occasionally, we see holdover trout larger than four pounds, but not often. These put and take lakes are all about getting family and friends out on the water to enjoy time together. Even though by this time of year I’m chomping at the bit to chase monster Chinook, I can’t overlook these lakes in the early spring. Seeing all the smiling faces and hearing the laughs of kids, old timers, women and men alike takes me back to my childhood. 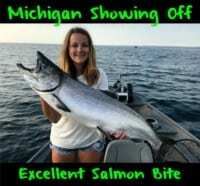 It brings back memories of waking up opening morning and heading to the lake with my Grandpa with poles in hand, a jar of Pautzke Eggs in my pocket and the excitement of that first bite! 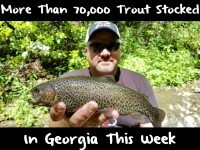 If you get a chance make the time to get together with people and hit up these great fisheries. You wont regret it. Editor’s Note: Sam Baird operates Slammin Salmon Guide Service in the greater Wenatchee area. 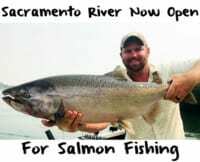 For more info on his trips please visit http://www.slamminsalmonguideservice.com/.